Seams Perfect is a family owned, local drapery workroom. Since 2001, we have been providing customers with high quality custom window treatments, custom draperies, pillows and bedding. We are also a Hunter Douglas dealer specializing in blinds, shades and shutters. We emphasize quality, integrity, and professionalism. From selection to installation we are there for you. Contact us today and let our talented team help you create custom solutions for your window treatments and decorating needs. 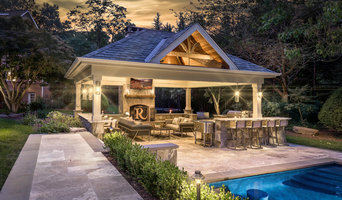 *Authorized Fireplace Xtrordinair Dealer* Sunrooms Plus Inc. / Fireplace Design Center has been in the business for over 30 years and we've been lucky enough to learn a thing or two over those years. We've even worked hard to make sure that our staff knows the most up-to-date information. Keeping you cool in the summer and warm in the winter is our goal! The "Plus" means a lot! Plus is if you want to improve your backyard or expand your living space. From Decks to Gazebos, Window Tint to Retractable Awnings. Sunrooms "Plus" can make it happen. We offer several different brands of Gas, wood or electric fireplaces and inserts, Wood and Pellet Burners as well as the venting and masonry to complete the project. We offer Installation on everything we sell. We will service any products we sell or if its a competitors product we can service that too! Wasatch Shutter Design is locally owned and operated and we manufacture all of our shutters in Salt Lake City. We are dedicated to offering you the highest quality products, service, and craftsmanship available. 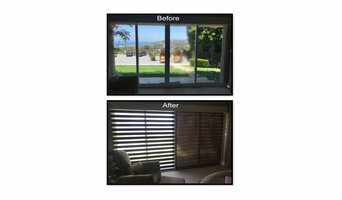 Wasatch Shutter provides custom plantation shutters, blinds, shades and all types of window coverings. We service the entire Wasatch Front and work with all budgets, home types and design aesthetics. Contact us today to get a free in-home consultation on your new window coverings. *Hunter Douglas Authorized Dealer* Timm's Window Fashions is your source for custom blinds, Draperies, Soft fashions, and custom bedding. We are the Plantation Shutter experts. Any shape or size window can have a custom shutter on it if you so desire. Also, most of our product lines can be motorized and many integrated into home automation systems. You will find more than great window coverings with us. You will find great people who have the knowledge, expertise, and experience to help put it all together. From Design to installation we are there every step of the way. We are committed to your complete satisfaction. The Timm family has been doing business on Main st. Manasquan since 1976 and it is our policy demanding complete satisfaction that will keep us here until 2076. Servicing the state of Utah since 1972, we specialize in all types of flooring and window coverings. Offering carpet, tile, hardwood, laminate, and vinyl flooring - there is a style and price to fit every home. 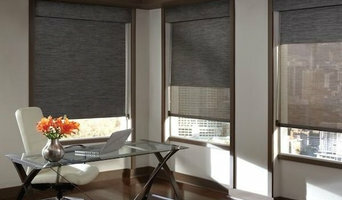 We offer window coverings including; blinds, shutters, draperies, and motorized shades. We invite you to visit our showroom, located in Bountiful, Utah, where you can visualize and find out for yourself why Allied is the store for your home.